Ventura Press is delighted to announce its latest imprint: Peter Bishop Books. Born as a collaboration with Bishop, the imprint will present a catalogue that aims to rekindle the intimate relationship between author and reader, a unique and inimitable dynamic that imbues reading with a magic not found in other art forms. With over 17 years’ experience serving as a writing mentor and creative director of Varuna, the Writers’ House, Bishop aims to curate a unique catalogue of works that reflects his keen eye for spotting and fostering talent. The imprint will publish a range of works across a diverse variety of genres, united by the desire to create and tell truly memorable and enduring stories. 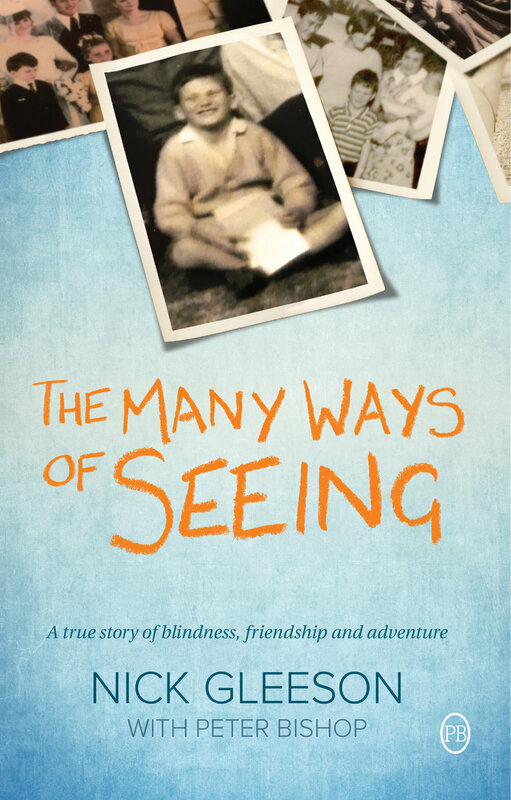 Peter Bishop Books will launch its first title, The Many Ways of Seeing by Nick Gleeson and Peter Bishop, in June 2017. Although becoming blind at the age of seven and growing up in the working-class suburb of Broadmeadows, Victoria, Gleeson has led a truly remarkable life, from climbing to the base camp of Everest and the summit of Kilimanjaro, to running marathons, and competing as a Paralympian. The Many Ways of Seeing reflects on Gleeson’s lifetime of achievements, as well as his relationship with Bishop, as the two tell this unique story in their own unique way. In a blend of memoir, conversation and insights into the writing process, Gleeson and Bishop weave an inspiring tale of surviving hardship, building trust, and reflecting on the relationship between writer and mentor. The second title to be published will be Back to Broady by Caroline van de Pol in July 2017. In a book that in many ways is the ‘twin’ or ‘sibling’ to The Many Ways of Seeing, Gleeson’s childhood neighbour and friend Caroline shares her own powerful memoir of growing up in 1960s Broadmeadows, Victoria. This is Caroline’s compelling story of her fight through disadvantage in a large, chaotic Irish Catholic family, and the incredibly moving experiences that have helped her walk the fine line between survival and surrender.